Kripa was a key member of the U21 team throughout 2017. He was an important part of the team which earned a bronze medal at the European Championships and qualified for the 2018 World Championships. 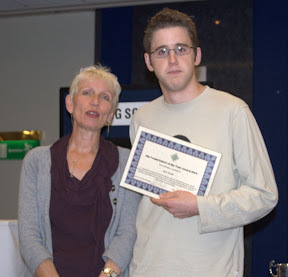 He was also a member of the team which won the Peggy Bayer Trophy with almost a maximum score, and which finished second in the strong Channel Trophy competition. Ben has been a mainstay of the England junior teams, and has also enjoyed numerous successes in domestic competitions. He was part of the U21 team which won a bronze medal at the 2017 European Championships as well as a victory in the Peggy Bayer competition, and a second place in the Channel Trophy. He was also a member of the U26 team which took part in the 2016 World Championships. Tom was a member of the Under 26 team which narrowly missed out on a medal at the European Championships, finishing in fourth place. He also played for England in the victorious Junior Camrose team. Tom partnered Catherine Seale in the Mixed Pairs at the European Open Championships, finishing as the highest placed English pair. In domestic events, Tom won the Midweek Knockout teams and the Mixed Pairs competition at the Summer Meeting, and was part of Middlesex's success Tollemache team. He was part of the team which won the Junior Camrose, equalling the record score. He was part of the team which won the White House Teams event. He was part of the team which won the consolation teams at the Paris invitational. He was second in the Under 25 Pairs Championships, and was part of the team which was second in the Four Stars final at Brighton. He was in a team which was 5th in the Easter teams event, and in a pair which was 5th in the Year End Swiss Pairs. He was part of the team which won the Channel Trophy. He won the Under 25 Pairs Championships, and the Brighton Midweek Knockout Teams event (beating several regulars from the England Open team in the process). He was in a team which was 7th in the Year End Swiss Teams, and in a team which reached the 4th round of the Spring Fours. His team was first in their group in the Tollemache, and his pair recorded +62 IMPs on the Butler. Freddie has enjoyed a fantastic 2012 and it is even more impressive when you remember he has only just turned 17. Freddie joined the squad several years ago as a young boy with a lot to learn but has quickly proved he is capable of taking everything on board and learning enough to turn himself into a great player. In 2012 he was part of the team that won the Peggy Bayer, the Channel Trophy, reached the quarter finals of the World Championships in China, Came second in the Riviera Congress teams, and reached round 4 of the Spring Fours in an unfamiliar partnership. Not only does he attend training weekends with monumental dedication, he also reformats and types up all of the bridge notes he gets from the squad in an effort to learn everything available. The Young Player of the Year Award was created to recognise the outstanding young player of the year. The 2011 Young Player of the Year award goes to Shivam Shah, who has been a member of the Junior Squad for many years, gaining in ability and talent throughout this time. His overall year has been exceptional, including a great Channel Trophy, and a solid performance in the European Open Pairs in Poznan. Well done to Shivam. The 2010 Young Player of the Year award goes to Graeme Robertson, who has been a member of the Junior Squad for over five years, gaining in ability and talent throughout this time. 2010 was his highpoint as a player, as he represented England in not just one but two World Championships. 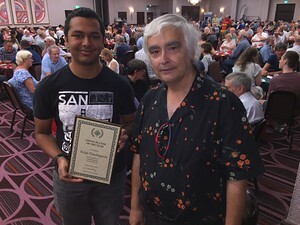 In July he travelled to Taiwan as captain of the Cambridge University team in the World University Championships, having qualified by right by winning the Portland Bowl (the England universities championship). His team finished creditably considering their inexperience but Graeme's performance was first class: he played in every match and was awarded the Paul Magerman Trophy for the best defended hand, for his inspired defence to beat a 4 spade contract. Last October he travelled to Philadelphia as part of the Under-21 team in the Junior World Championships. Graeme was part of the anchor pair that played every single board in the quarter-finals, semi-finals and final of the event, and his performance was critical in the teams phenomenal recovery against the Netherlands. His sense of humour and amusing story-telling provide light relief in even the darkest of times, and he is a credit to the squad. John Pain is pleased to announce that Alex Morris has been named as Young Player of the Year for 2003. The awarding committee recognised Alex Morris's overall achievement in 2003 in being in the team which finished fourth in the Brighton teams final, finishing in the last eight of the Gold Cup and being part of the victorious team that won the Junior Camrose trophy in January this year. "This was awarded to John Atthey, of Stroud in Gloucestershire. Although only 17, John, has a super record of achievement in junior bridge. During 2001 he came secod in the under 19 pairs championship and won the under 20s trials. He went on to play in our under 20 team in the Peggy Bayer and Junior Channel Trophy, both of which England won comfortably. " "EBU's youth working party is pleased to announce the award of the title Young Player of the Year for 2000. Two outstanding candidates presented themselves for 2000/2001 and the youth working party was unable to choose between them, so the award is made jointly." "Oliver, aged 17, comes from Lytham St Annes in Lancashire. In partnership with Jeneiv Shah he came third in the under 25s trials and the pair went on to help England win the Junior Camrose Trophy." "Ben is 19 years old. He played with John Atthey in the under 20s tials, which they won and the partnership went on to win handsomley both the Peggy Bayer and the under 20s section of the Channel Trophy." "For the second year running, Andrew Woodcock has been named EBU Young Player of the Year. Andrew, aged 19, is the first individual player to win the award twice. He was chosen for his good results in both junior and open bridge during 1999." "The Woodcocks were happy family at the Easter Festival at Blackpool. Eighteen year old Andrew Woodcock was presented with the EBU Young Player of the Year Award - and his mother and father, Sue and Nick, won the festival's Swiss Pairs!" "Andrew currently studying at Hull University gained the award after a very successful season which including coming third to his parents in the main Swiss Teams at the Brighton Summer Meeting". "A former pupil at Hutton Grammar School, Lancs, Andrew has been playing bridge since he was 11." "For the second year running 20-year old Lior Zivan and 18-year old Jonathan Starkings have been acclaimed as young players. In 1995 they were chosen as Young Pair of the Year by the EBU and now they have been selected as joint Young Players of the Year." "Jonathan and Lior, who both represented Loughborough Grammar School, had a string of impressive wins to their names in 1996, including the national Under 25 Pairs (schools section), British Schools Cup and excellent performance in the Under 19 section of the EBU/BBL trials." "Abbey Walker has been chosen by the EBU as Young Player of the Year. It was not a difficult choice, for Abbey stormed to the top by being selected to play for Britain in the women's world championships while still only 19 years old. She was the youngest ever to take part. Abbey has won her laurels in open events, culminating in the world championships. Her citation says: 'Abbey impresses everyone with her cheerful and friendly demeanour and the way she deports herself when playing'. International success first came to Abbey at the age of 16 when she was selected to play in the British under 20s team. Two years later she was in the England team which won the Lady Milne Trophy. Then came the dizzy elevation to the world championships, partnering Sandra Landy. Martin Jones of Coventry, has been chosen as Young Player of the Year by the EBU. The youngsters who had to be under 21 on January 1, 1994, were judged on outstanding performance in international and non-junior events and were awarded points for six junior events. General demeanour at the table was also taken into account. Maths student Martin, currently in his final year at Coventry University, comes from a bridge-playing family. His regular and favourite partner is his brother Tim, who works and lives in Cardiff and is not eligible to play for England. Their father David, who taught the boys to play as soon as they were old enough, is an EBU senior tournament player. Martin's bridge career began with the Schools Cup when he represented King Henry VII School, Coventry. More recently in May 1993, Martin was part of his father's winning Crockford's team. In September he won the Camrose Pre-Trial with John Collings and came second in the Junior Trials with his brother Tim. In December he played with Mark Bratley as part of the British team in the Junior Channel Tropy.